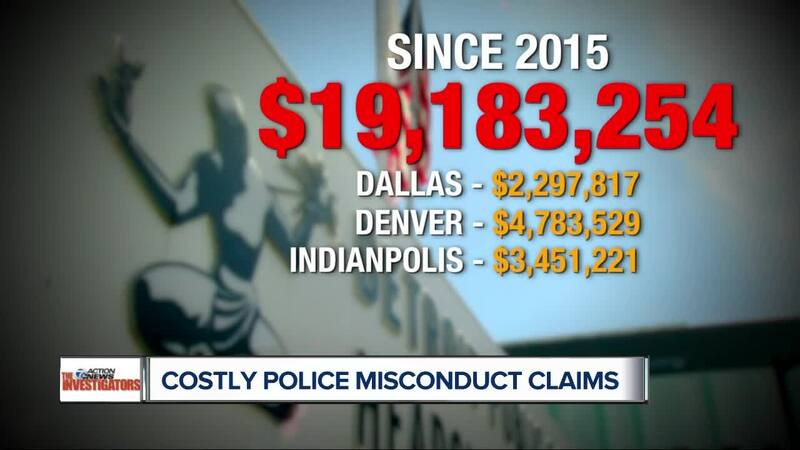 The city of Detroit has paid out $19.1 million to settle claims of police misconduct since 2015, 7 Action News has learned. “The city knows they’re liable, they’re on the hook for something," he said. The payouts include cases stalled by the city's 2013 bankruptcy, which effectively froze lawsuits filed against the department until the following year. Mayor Mike Duggan's office insists the department is making progress in reducing the number of claims paid out over misconduct, saying the city "is cutting crime with fewer instances of complaints about officer conduct." He also said his officers have more contact with criminal elements on a daily basis than most similarly-sized departments and, until very recently, weren't equipped with tasers that most other departments use. “The city has settled lawsuits without actually hearing the officer’s side," Diaz said, but was not able to point out what he deemed a frivolous case since 2015.